On Saturday we attended a session at the LA Temple with Scott's sister Carolyn and her husband Abraham. It was a packed session (and yes we were in the last row). There were many people receiving their endowments in the session also. It was neat to see the smiles on the girls faces as they were preparing to marry their companions. It reminded me of when I went to the temple for the first time and had Scott right there. I would always look at him and have this huge smile on my face. I realized that in every session I still do the same. If I glance eyes at him he sends me a wink back and I give him this huge cheesy smile with watery eyes (I can't wink, its more like a twitch thats not very attractive or suttle lol). 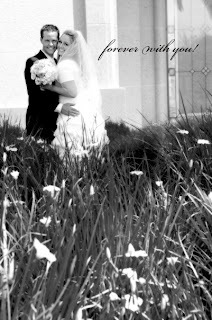 How blessed I am to have married him in the Temple and to receieve those blessings. Going to the temple brings me so much closer to him. 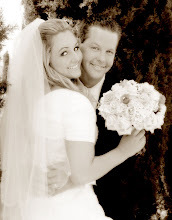 When I first got married I wanted to keep getting married (of course to Scott!) because I never wanted that feeling to go away. I've realized that the feeling never goes away and how grateful I am for that and each time we attend the Temple just makes me fall more in love with him.